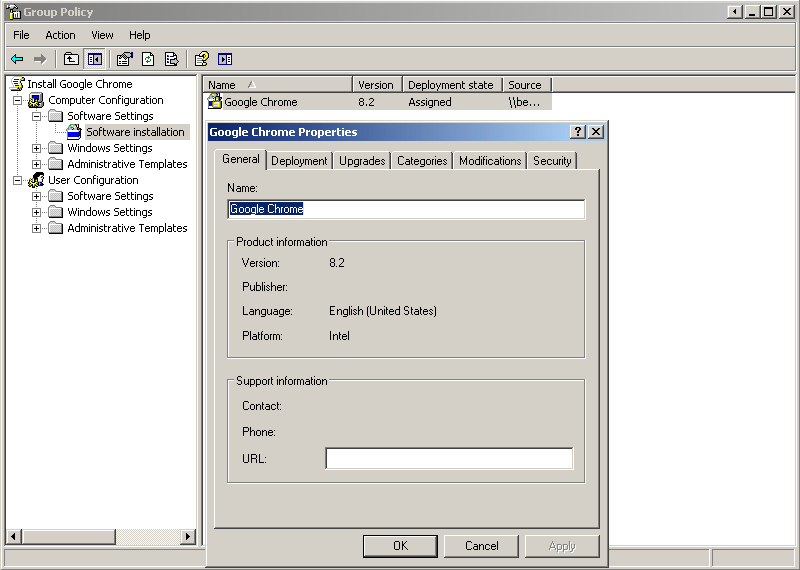 Yesterday, Google announced that Chrome is now made for the enterprise with an MSI installer and templates to control settings. This is something that fans of Mozilla Firefox have been clamoring for since version 2.0 and I believe this may give an edge to Google Chrome in the browser wars. Copy the GoogleChromeStandaloneEnterprise.msi to your deployment server and create a software installation inside a GPO like normal. Then, you can use the templates Google provided to get complete control over the browser experience. 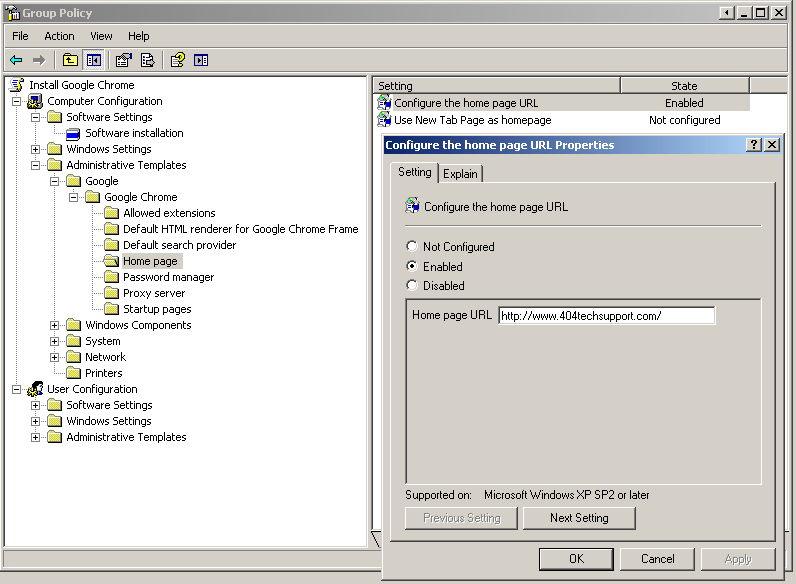 For example, you could set the home page URL to your organization’s site. Right-click on Administrative Templates under Computer Configuration on your deployment GPO. Select Add/Remove Templates. Then click the Add… button and browse to the chrome.adm or chrome.admx file to add it. You can then browse under Google, Google Chrome, to find all the settings you can configure. I’ve successfully deployed Google Chrome to a test machine beside me but I’ll have to do a bit more testing and planning before I’m comfortable pushing it out to my organization. This may very well push out Firefox as a supported application here due to the control this allows and the behind the scenes updating of Chrome. Providing a Google Chrome .msi for Business is a smart move by Google.